Watch Justin TV and Get in Trouble? Broadband News » Entertainment » Watch Justin.tv and Get in Trouble? Watch Justin.tv and Get in Trouble? 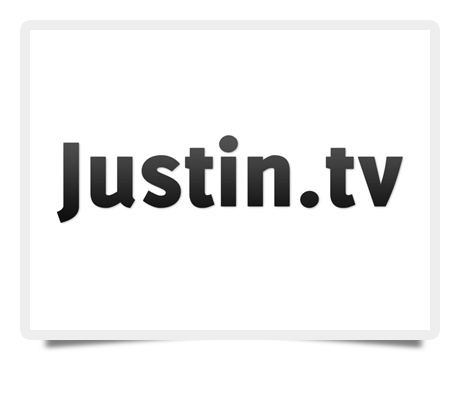 After its debut in 2007, Justin.tv quickly became one the most popular user-generated video-streaming websites, pioneering the concept known as “lifecasting.” With a wide array of ad-supported free video content — and a $10 per month Pro membership for those who want to watch Justin TV without the ads — many users now prefer Justin.tv to YouTube for streaming as well as to traditional content providers such as cable and satellite TV. But can you watch Justin.tv and get in trouble for it? Well, that’s a loaded question. It is probably not a good idea to watch it at work when a big deadline approaches. Digital Millenium Copyright Act (DMCA) issues may be another story, though, especially if you are a user that streams content on the site. Users that stream copyrighted material on Justin.tv run the risk of prosecution in the same manner as users on YouTube or any other website that allows you to upload content. So it is probably not a good idea to use your smartphone to stream live video of an NFL game on your TV to any website. Justin.tv keeps a copy of the DMCA guidelines on their website, and it is wise to read through the entire document, if you can get past the legalese. If you are a repeat copyright offender, Justin.tv will definitely terminate your account, which is typical throughout the industry. But What if I Just Watch Justin TV? Getting in trouble for simply watching copyrighted material on Justin.tv is unlikely, but doing so is still illegal. Of course, the actual enforcement of the law against those merely viewing illegal streams rather than uploading them depends on the available police resources. If you watch copyright-protected material on Justin.tv or any other online video source, it is probably best to “tread lightly,” as Walter White once said.